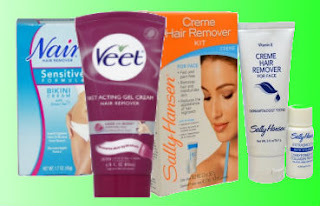 Hair removal creams and lotions are better alternative to razors. They somehow slow down the growth of the hair, letting us take a break of three or four days from the worries of shaving. Also they prevent the hair from growing thicker like bush! It is not hard to achieve these benefits. But sometimes the creams can be harsh. Much of it depends on how they are used. Actually, certain precautions and tactics have to be utilized while dealing with such creams. We will have a discussion of all this here today. In between, we will have many tips too. Hair Removing should be done Under Good light: Always pick a bathroom that has enough light. It will help you see the unwanted hair better. Remove Hair 8 to 24 hours before Going in the Sun: Skin which has gone through the hair removal process tends to be infused with oil. Thus, it easily darkens under the sun. In some cases, only dark spots form. So it is important that the hair removal cream is used 8 to 24 hours before going out. Choose a Good Applicator: Most of the time, the hair removal cream comes with a spatula and sponge. According to the makers, they are supposed to ease the application and removal jobs. Only when using them we come to know that there is not much truth in those claims. In reality, cotton pads make better applicators. So give them a try. For the face, cotton bud is best. The tool does slow down the work. But it is compensated by the final result. Choose a Good Cream or Lotion: Not all hair removal creams and lotions are same. You definitely need to pick what is effective. Sadly, this calls for many trials. Save the creams’ receipts so you can get refunds just in case they fail to work on your skin. But is there anything best out there? I used Nair, Sally Hansen, Veet and some other unknown brands. Among them, only Veet turned out to be the best for me. I must still say that its previous formula used to make the hair thick. The newest one does not seem to produce that problem. If you wish to pick something different go for the one that has loosened smooth texture. Teens and People with Sensitive Skin, be Aware of These Products: Hair removal cream ingredients can be toxic for the young vulnerable skin. On legs, the effect is less. But you really do not want to try it on your face. I am warning you from my own experience. As a teen, I used the cream on the cheeks. The result of this was rash. The marks from this rash took years to leave my skin. Even in my early 20s I was carrying them. But when the skin matured at age 25, I tested the cream again on the face. This time there was no rash. That is why, I would tell you to wait. It seems that on mature skin, the cream does not react badly. How to remove the hair effectively? 1. Before you begin, find out from the package of the cream as to what the maker says about how long you can keep the cream on your skin. This is a very important. After a certain time, the cream tends to burn the skin. You don’t want this to happen. 2. With the cotton pad, cover the hair with the cream. 3. Within 2 minutes, the hairs will start to curl up. They almost look zigzag. 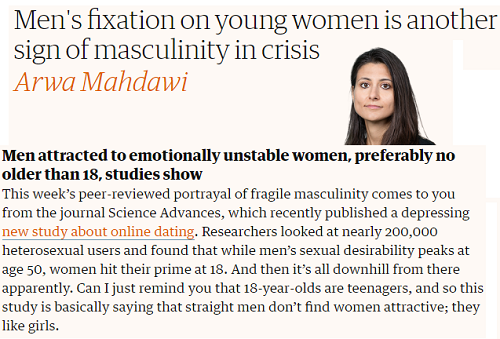 This is the sign of their loss of strength. If it has not started happening keep the cream a little longer, but never more than the minutes mentioned by the maker. If you feel a burning sensations then ignore the maker’s direction. Remove the cream immediately because it is a sign that it is giving you rash. If possible do not use it again. 4. Make the towel wet. Use warm water. 5. With it now, remove the cream and hair. Be gentle here to avoid scratching or cutting yourself. Ever wonder why creams don’t work on certain body parts? There is simple reason behind it. Regularly shaved hair tends to become thick. That is the main reason why in some parts of the world, kids go bald many times. Their parents just want them to have strong thick hair in their adult years. Similar fate is embedded in our other body parts. The more we shave our body hair the stronger we make them. They do not lose the strength. As a result, they fail to react to the cream. In this case, waxing is the only answer. How do you know that your hair removal cream has expired? Take a look at its texture. If it looks and feels thick then it means that the cream is not usable. It will not work on hair like before. Usually, it takes 7 to 9 months for the cream to become useless.